Kibuye Hope Hospital increased from 110 to 250 beds in the last 5 years, largely due to the new surgical ward building which opened in 2017. A new pediatric building, under construction, will add another 100 beds. Some 40 medical students take a 4 to 6 month long rotation, receiving daily apprenticing. The new 3-story dorm can house 56 students. The Serge missionary team from USA & Canada now numbers 50. This includes physicians, engineers, school teachers and children. There are currently eight Burundian doctors working alongside the North American specialists.Three chaplains work diligently to care for the spiritual needs of patients and caregivers. A new solar array consisting of 350 panels, batteries and inverters is working to provide adequate power to the facility. This delivers a steadier power to incubators that keep premature babies alive. A lot is happening at Kibuye. Kibuye Hospital, Burundi was founded in 1946 by Dr. Esther Kuhn. There are 10 health centers that refer to Kibuye and have radio contact with the hospital for service by the ambulance. It is a rural hospital but served by a paved road 100 miles from the capitol of Bujumbura. Hope Africa University (HAU) in Bujumbura has established a Health Sciences division for training nurses and doctors called The Frank Ogden Medical School. It is named after long time missionary surgeon Dr Frank Ogden, now retired. 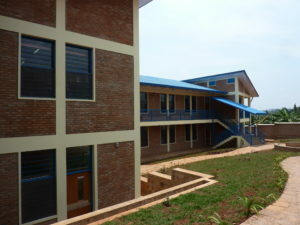 Kibuye Hospital is one of three teaching hospitals for the HAU medical school. 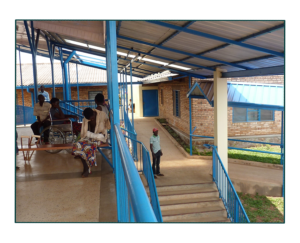 In addition to general medical services Kibuye Hospital has a program of outreach into the community to help the handicapped (particularly the blind); a child survival program run by World Relief; and a small factory that produces a high protein cereal to prevent and treat malnutrition.